Spring will be here soon enough. It's the perfect time to tidy up—both indoors and out—and take stock of your home. 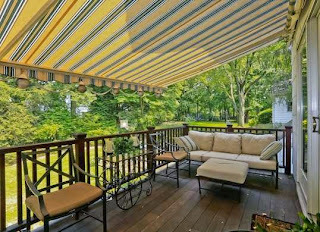 Whether you're planning your garden, growing a picture-perfect lawn, or would rather relax in a lounger on the back patio, there's plenty to do. Here are the top must do projects for March. Build Your Own Planter ~ Consider building a window box or adding a planter for your front porch. 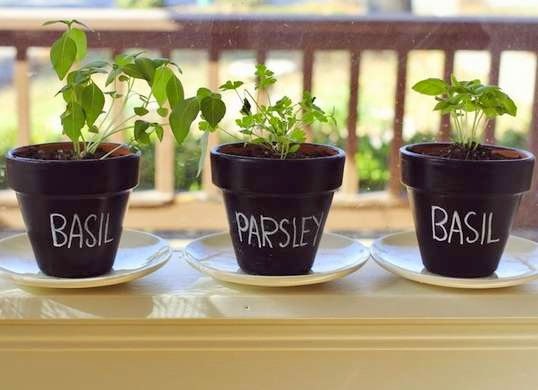 Whether you start from scratch or repurpose an old item, making a planter is a great family-friendly activity for spring. Take the simple route by painting a trio of terra cotta planters with chalkboard paint and planting them with herbs for a kitchen windowsill garden. 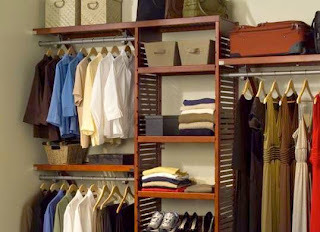 In the Right Place ~ Spring is the perfect time to reorganize your closets. Donate or sell any winter clothing you didn't wear this year, then pack clean off-season clothes into bags, bins, or boxes—right after you double-check your forecast. (Don't want any surprises.) If your closets need an additional dose of organization, buy or build new shelves, dividers, or install an extra tension rod to double your usable space. 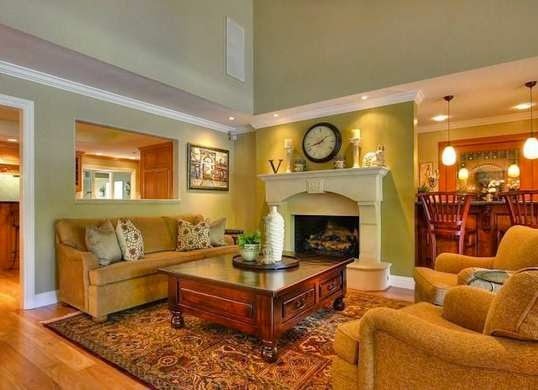 Stage Your Home ~ With weather warming up, March is a prime season for home-buying and moving. Listing your home? Know that properly staging your home can help you sell the place at a higher price. If your style is too modern or eclectic to appeal broadly to buyers, try stowing your furniture in storage, then borrow neutral pieces from a professional stager until you can close the deal. Green Sweep ~ Once the snow has melted and the weather's fine, check your lawn for damage. 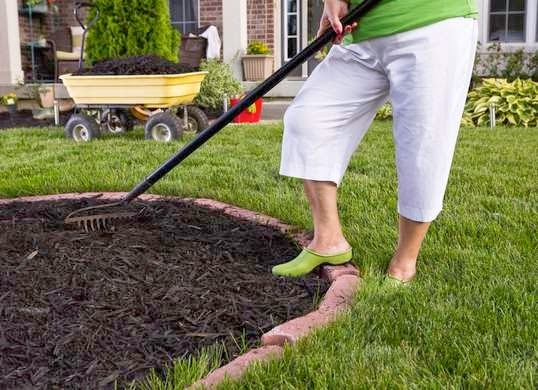 A patchy lawn can be rescued by removing the dead soil, tilling the soil, and adding compost. 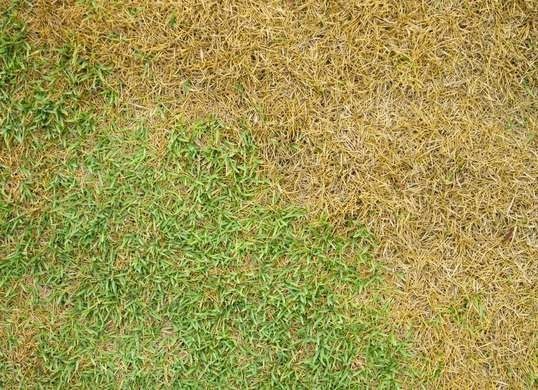 Wait for warmer weather to reseed dead patches. 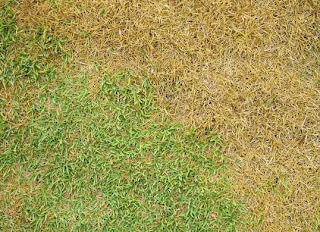 Lay off the fertilizer; if you spread it too early, it can aid the growth of cold-season weeds rather than the grass. Prep Your Patio Furniture ~ Get ready for barbecue weather by rescuing your outdoor furniture. Remove flaking paint and rust from metal furniture using a wire brush and sandpaper, then repaint for a fresh, new look. Clean vinyl cushions of mold or mildew with a mixture of 1/4 cup of Borax and warm water. Now get ready to fire up the grill. 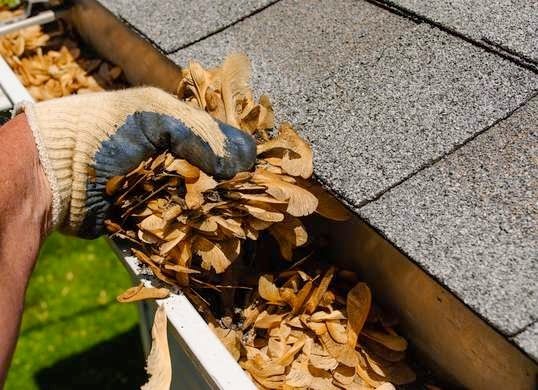 Tidy the Gutters ~ Even if you cleaned the gutters last fall, they could probably use a second cleaning come springtime. Winter storms can blow twigs, leaves, and debris into your gutters that can impede the proper flow of rain away from your house, which in turn leads to flooding. Take precaution now, and save yourself a wet basement next month. Carpet Cleaning ~ Chances are your family has tracked in all sorts of ice melt, slush, and even mud throughout the winter months. 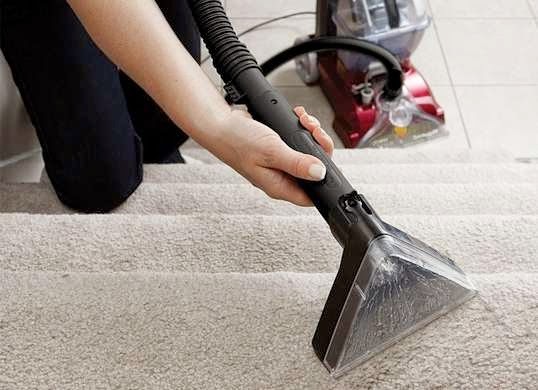 Be sure to give your carpets and rugs a deep spring clean for a fresher start to the season. You can rent a carpet cleaner locally or buy your own machine like this one. Prepare Your Garden ~ It's not too early to start your gardening routine. Trim dead and damaged branches from trees and shrubs. Plant summer-flowering bulbs after the last frost, and ready your garden beds for other early plantings. 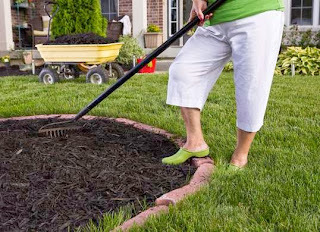 Then lay down a layer of mulch to retain moisture and prevent weed growth.